Don't worry about the size or the color or even if you diver already has one! Every diver always wants more... more equipment, more classes and more experiences. So you can't go wrong! Just select the amount of your gift and click on through. Your PayPal receipt will evidence your gift and we will send you a card in a gift envelope. 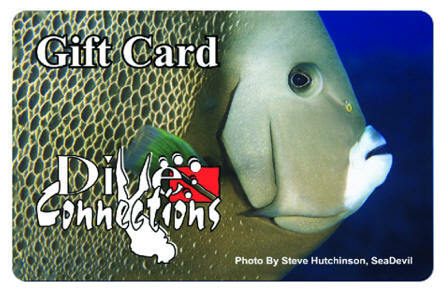 So your diver will have a card in his pocket to remind him that good times are just ahead! Thanks so much! Please let us know if there is anything we can do to help you and yours enjoy the wonderful world under water!